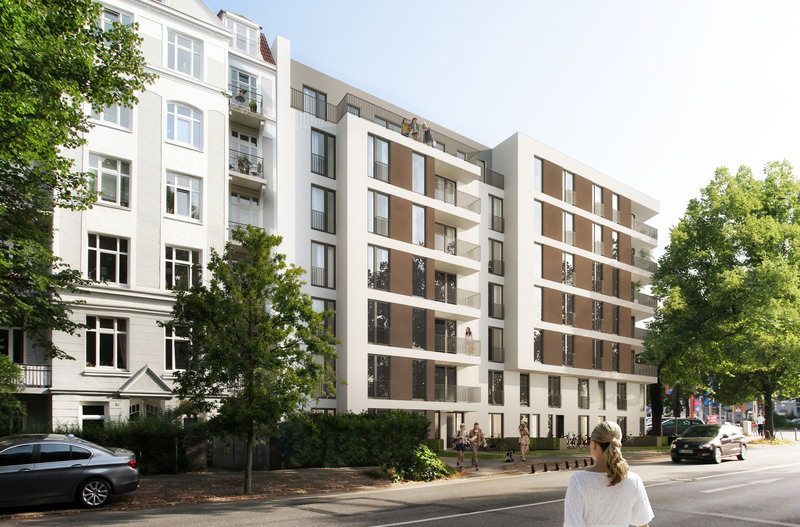 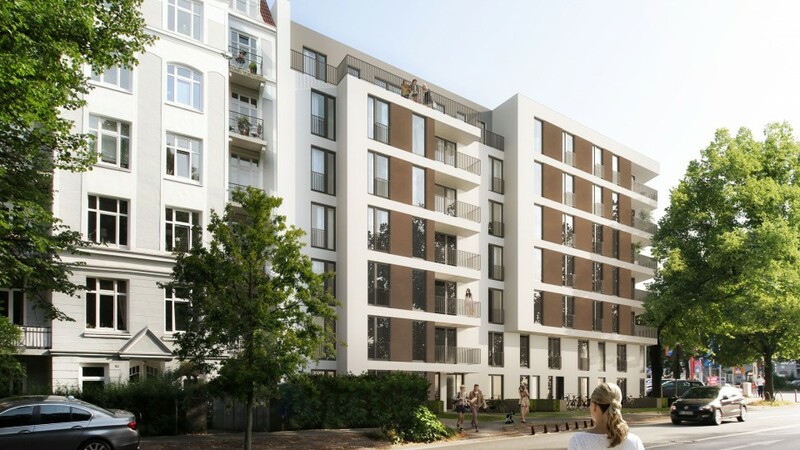 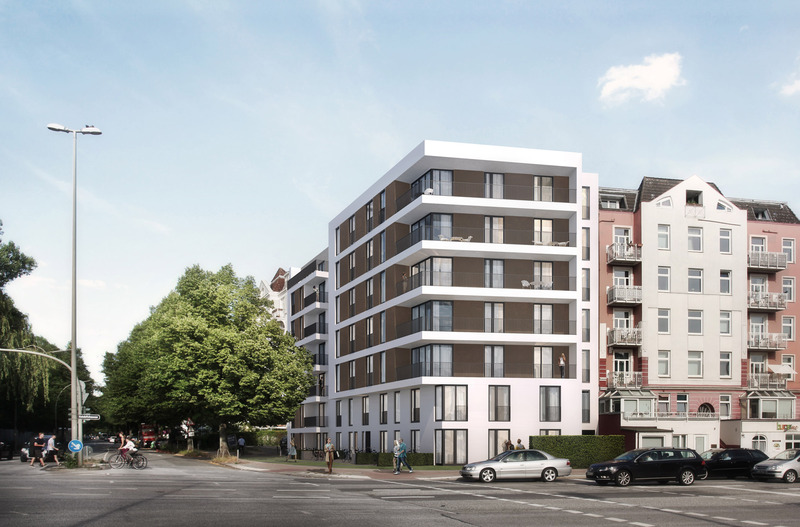 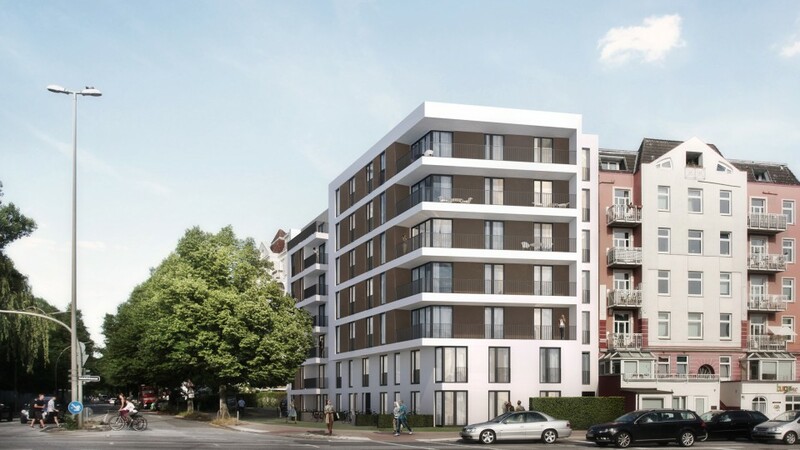 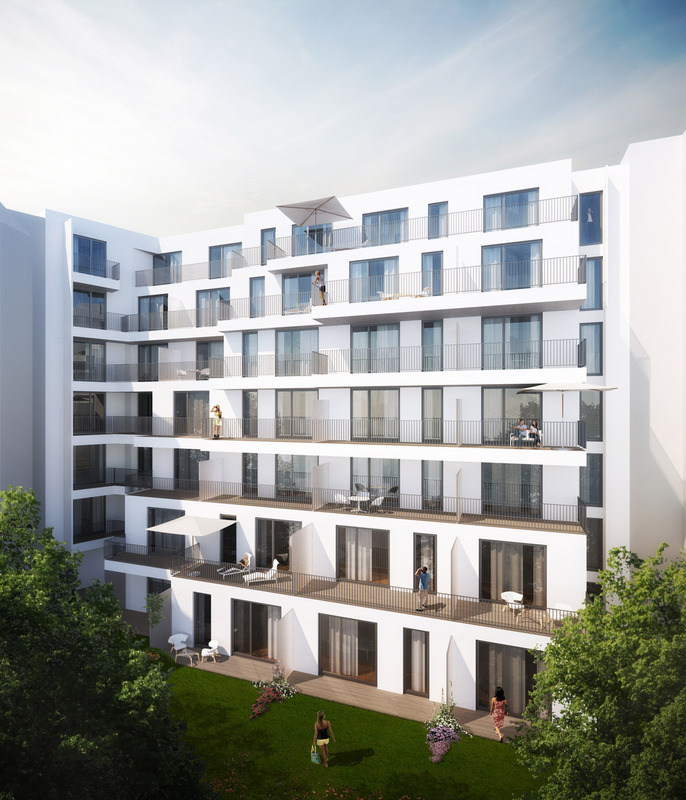 With 36 apartments, this seven-storey building completes the existing perimeter block development, creating new living space in the busy district of Hamburg-Eppendorf. 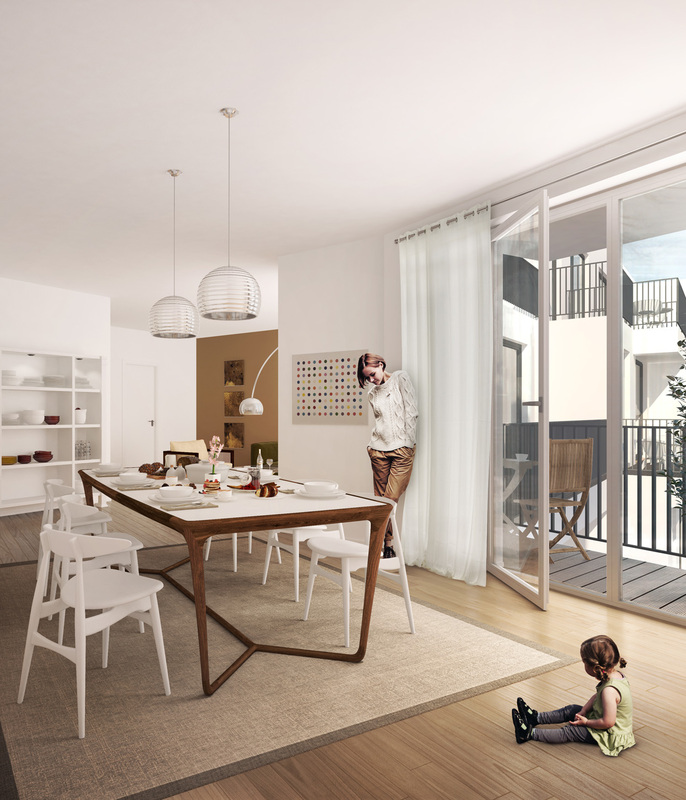 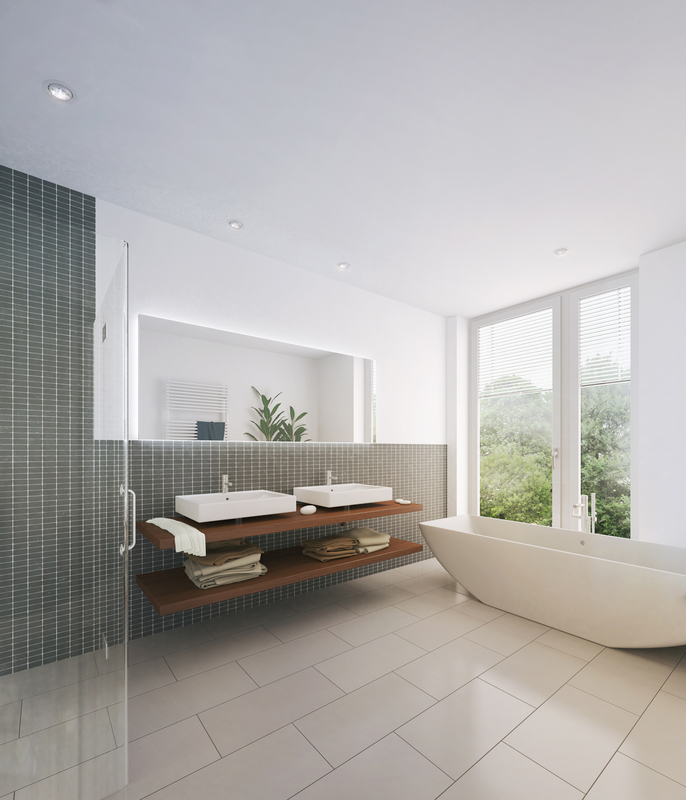 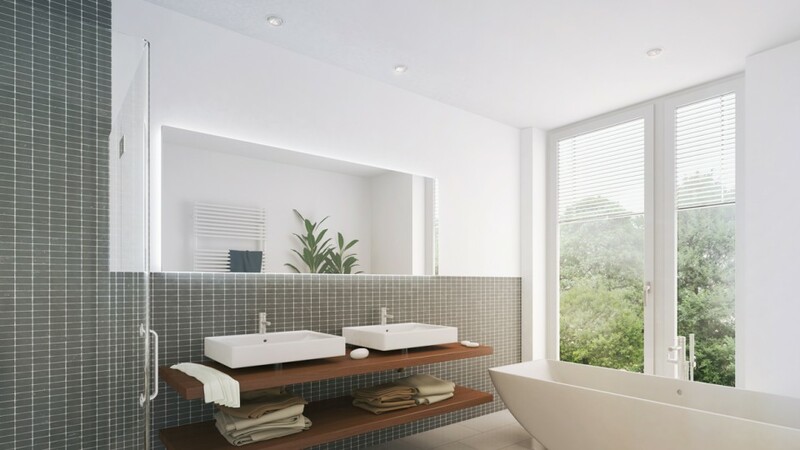 The floor plans vary: family-friendly maisonette apartments with townhouse character in the lower levels and two to five room apartments on the upper floors and penthouse level. 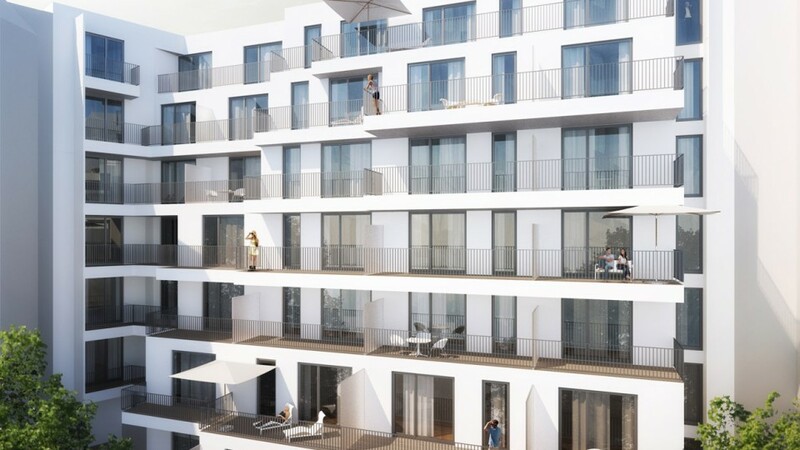 The structural projections of the new building effect a contemporary interpretation of the bay window structure of the surrounding turn of the century buildings. 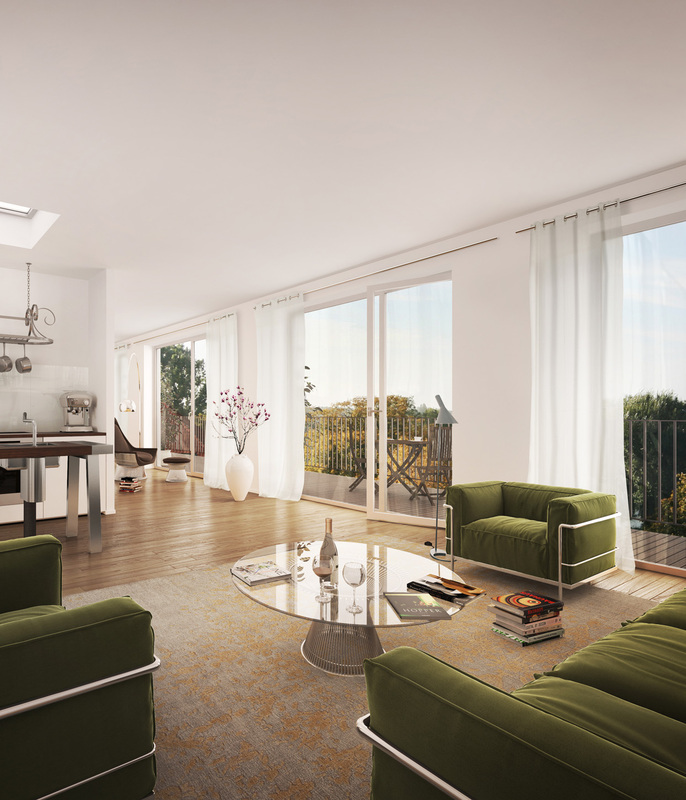 A striking corner location is also created, providing a new space for residents and passers-by. 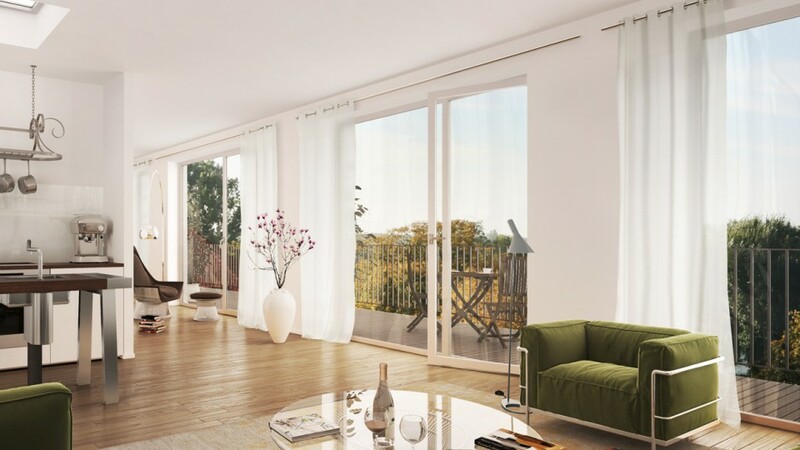 The facade areas adjacent to the floor-length window elements are covered with high-quality panel material and provide a contrast to the otherwise modest plaster surfaces.